KATHMANDU, March 27: The Communist Party of Nepal (CPN) led by Netra Bikram Chand has called a general strike on Saturday to protest the government's decision to ban the CPN for its violent activities. The strike is likely to affect the Nepal Investment Summit scheduled for March 29-30 as well as the students taking exams of the Secondary Education Examinations (SEE). According to the Ministry of Education, Science and Technology (MoEST), exams of five subjects will be conducted on Saturday, March 30. Officials at the MoEST said exams of different subjects under the vocational and technical education will be also held on Saturday for the grade-10 students. A total of 475,003 students throughout the nation are taking the grade-10 SEE which began from March 24 and will conclude on April 4, according to the Office of Controller of Examinations (OCE). There are 1,969 centers set up for the exams while 1,969 superintendents, 3,167 deputy superintendents and 29,535 security forces have been deputed to conduct the SEE exams. 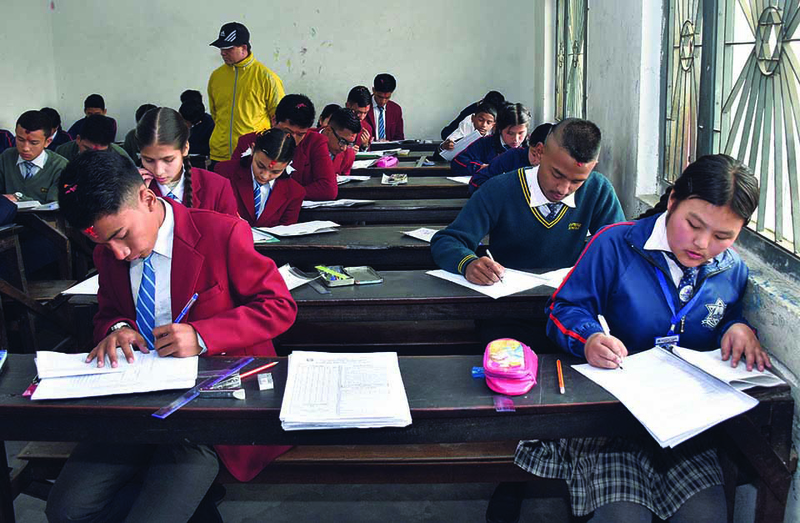 Bishnu Prasad Adhikari, controller of the OCE, said that the exams of compulsory subjects are scheduled for Saturday. “The exams scheduled for Saturday will be held at the exams were not interrupted in the past even during strikes,” he added. Suprabhat Bhandari, former president of the Guardians' Association of Nepal, said that the strike would trouble the students. “It's not right to call strikes during the SEE exams,” he said. “Students have to walk a long distance to reach the exam centers and they may not perform well due to fatigue,” he added. Meanwhile, the two-day Nepal Investment Summit will begin on March 29 in a bid to or attract foreign investment in Nepal. It is believed that the strike will leave a bad impression on the visiting delegates. the CPN had recently called a general strike on March 14, affecting over 8 million students across the nation. The party, as well as its sister wings, have announced around a dozen strikes affecting the education sector within a year. The All Nepal National Independent Students Union (Revolutionary) affiliated to Chand-led CPN had called a strike in the educational sector on February 7, demanding the government to release its treasurer Narendra Bishwakarma, who was arrested on January 31 from Biratnagar. Chand-led CPN has frequently shut down schools for its political cause, affecting millions of students, according to stakeholders. Though the political parties had committed not to call strike in the education sector after an understanding was reached to declare schools as zone of peace in 2011, parties have frequently violated their commitment. The concept was developed after 10 students were killed at Sharada Secondary School, Doti in 2003 during the Maoist insurgency.